Keep BT Local chair Alan Matson, at microphone, speaks at a BTAB meeting Wednesday. The city received eight bids for Burlington Telecom — and none came from the 10 biggest national telecoms, officials said Wednesday. 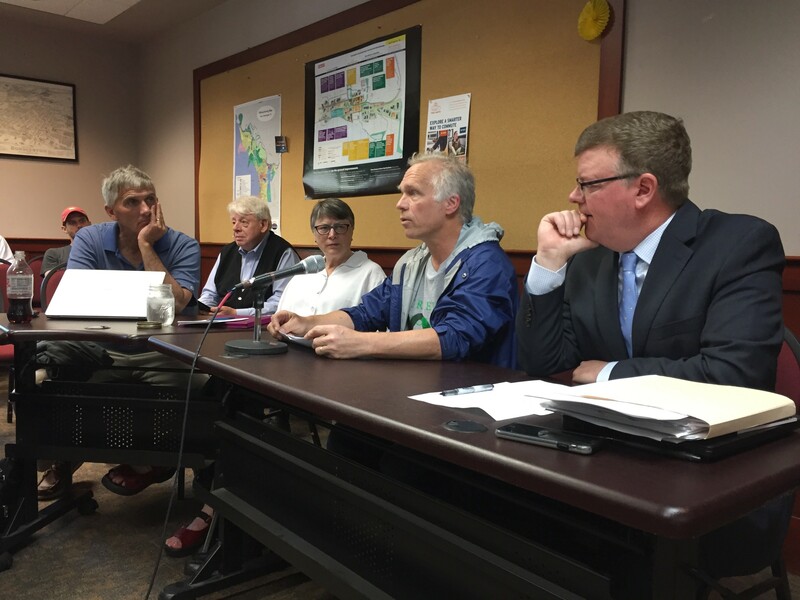 Some city residents had objected to the idea of selling to a major outfit, said Burlington Telecom Advisory Board member David Provost. That fear won’t be realized based on the letters of intent the board received ahead of Monday’s deadline. The board said little publicly about the bids, and did not reveal dollar amounts. The highest bid was two and a half times the lowest. While officials noted that price is important, the board and the Burlington City Council has laid out other factors and criteria for a potential buyer. The board plans to winnow the field down to three to five finalists and to present their bids to the the council sometime in July. Dorman & Fawcett, the company that runs Burlington Telecom, briefed the council about the bids in executive session Monday. One potential buyer is well known — Keep BT Local, a cooperative formed by city residents. The group’s chair, Alan Matson, spoke at Wednesday’s meeting, but did not reveal any more details about its offer. After a brief public meeting, the board went into executive session to discuss the bids. How Will Vermont PBS Spend its $56 Million Windfall?